The barrels are still up, and plant materials are on their way, but the project is awful close to completion! We’re talking about Grandmont Rosedale Development Corporation’s answer to their problem of limited parking and an abundance of storm water run-off at the Grand River WorkPlace – a co-working business incubator. GRDC, livingLAB, and Warren Contractors & Development (with the help of funding from The Kresge Foundation) worked together to design and construct a permeable parking lot that captures all of the storm water that falls on site. Although the principals behind the project are fairly simple, the result is pretty impressive. 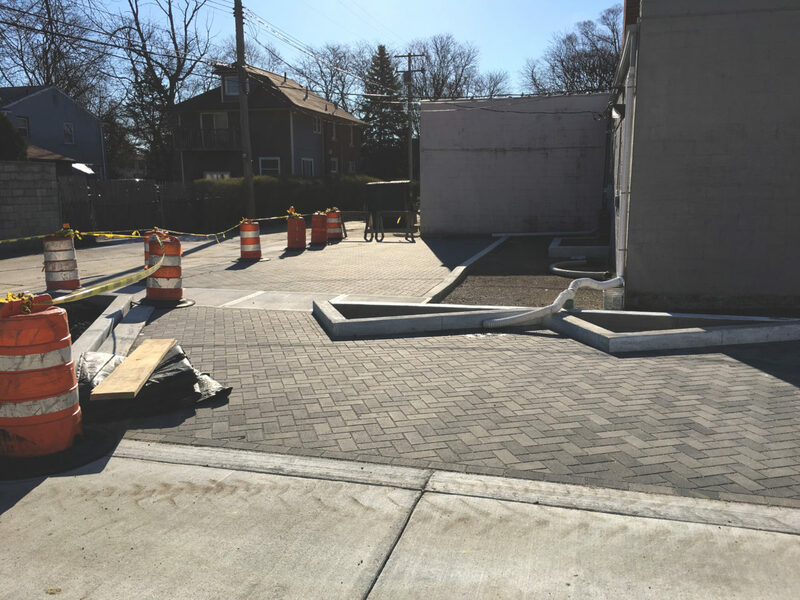 All of the storm water that falls on the building and in the drive lane flows to the permeable paver parking bays…and disappears….before it ever reaches a City of Detroit storm water inlet. Where does the water go? It drains through the pavers into an aggregate, stone, and sand layered base (about 3 feet deep) specifically designed to hold the water and allow it to slowly infiltrate back into the soil where the pollutants will naturally be removed before making its way back into the ground water table. While it’s a relatively small project, it’s a great example of solving problems through teamwork and collaboration. Stay tuned for more pictures after project completion! Next - Welcome Lauren Hoffman!